After a slight delay due to current events, I am resuming posting to my blog. And there is no better post to resume with than a giveaway, right? Sping is a lovely time, the weather is getting better and everything is becoming brighter so why not celebrate with a colourful Springtime giveaway. 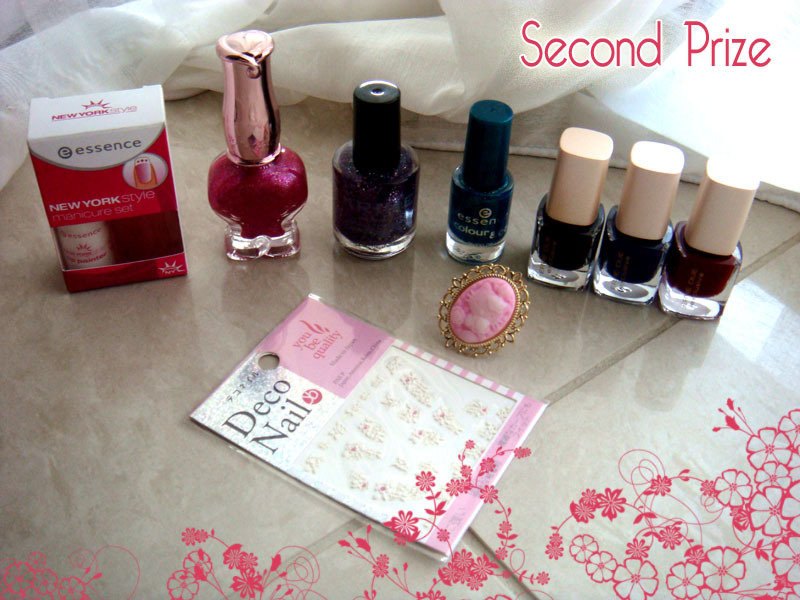 This time there will be two winners and a variety of goodies up for grabs! b. a special deco accessory or piece of jewellery that I will make according to each winner's taste. Not only the winner will get this piece for free but I will also feature it in my Etsy store, Cel's Deconails and name it after them! The item will be something similar to any of the items listed in my shop except the ones in the Phone case category. ☆ Black on gold Hello Kitty ring made by Cel's deconails. The size is adjustable. ☆ Original Cel's deconails jewellery or accessory designed specifically for you. ☆ Pink on gold Hello Kitty ring made by Cel's deconails. The size is adjustable. ★Please leave me your email so I can contact you if you win. The above are mandatory and comprise 1 entry. ★As a special thank you, the lovely people who comment regularly on my blog will get 2 extra entries. After the giveaway is over, I will choose the winners via random.org and notify them by email. If I do not receive a reply within 48 hours I will choose new winners. All the giveaway items have been bought or made by me. hope to win!! i would like to know also if i must submit here my information, or just was necessary the form?? Thank you so much, the prizes are amazing! following your blog via gfc as shadab. how i wish i win ! Thank you for entering. Please keep in mind that only entries in the form will count. Do not leave your details in the comments! I just entered in your lovely giveaway, thank you dear ! I follow you as boguslaw.